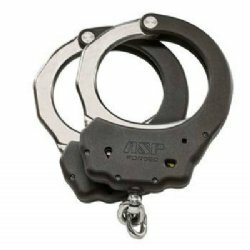 Top of the line police grade handcuff that is used by countless law enforcement agencies. Ultra Cuffs employ innovative technologies that are available only from ASP. These are full featured restraints that were specifically designed to "Lighten the Load” of the officer or agent. They provide exclusive features that increase both performance and safety.